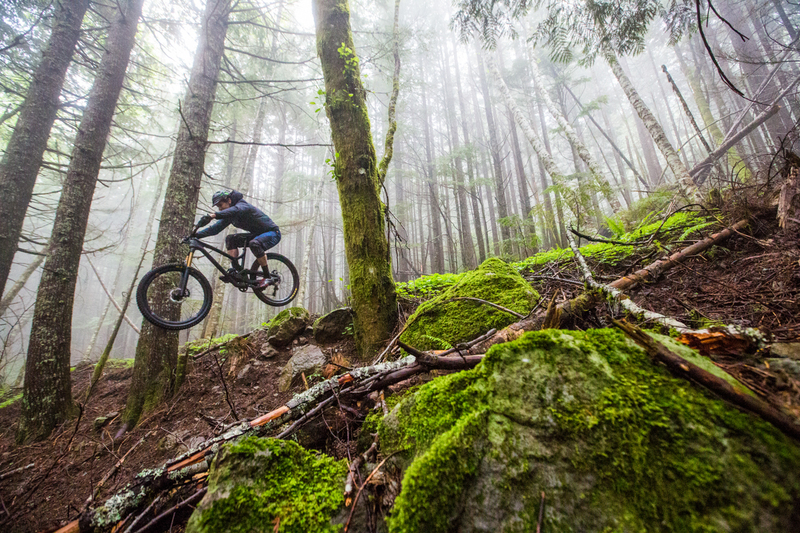 The sport of mountain biking has evolved dramatically since its dawn in the late 1890’s. 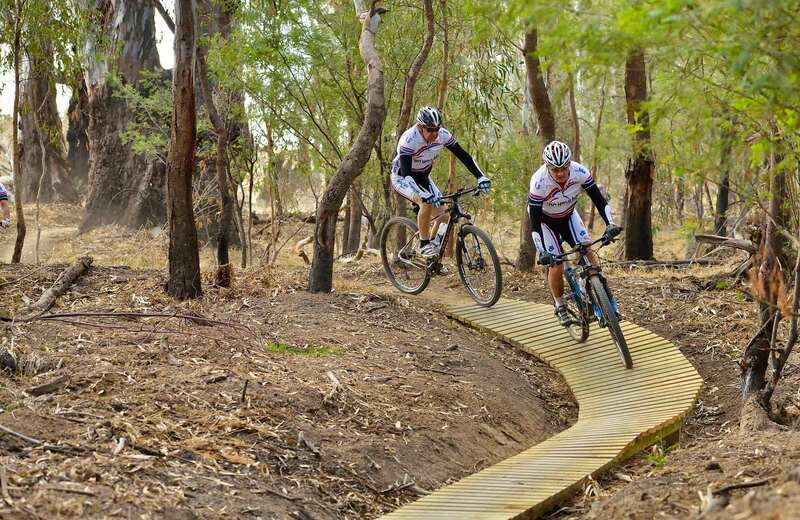 Today’s mountain bikes are incredible machines that are purpose built for particular riding styles. To get the most out of your hard earned dollars, it’s important to understand the basics of mountain bike design and be honest about your own riding style and ability as well as know what kinds of trails you’ll be spending most of your time on. Are your home trails mostly flat and pedalable? 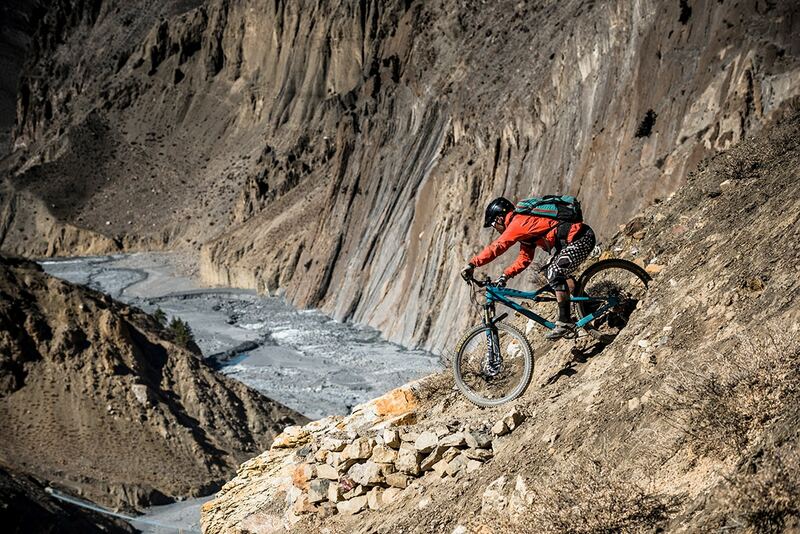 Or do you seek out gnarly terrain and flowy steep descents? Do you prefer to keep your wheels connected to the ground or do you attempt to find every opportunity to defy gravity? Ask yourself these kinds of questions and be honest with yourself so you don’t find yourself under-gunned on tough terrain or lugging around way more bike than you really need. So what’s the deal with all these mountain bike styles these days? While there are plenty of different terms manufacturers use to describe their bikes, there are 4 basic types: Cross Country (XC), Trail, All Mountain (Enduro), and Downhill (DH). There are both carbon and aluminum models in each style, and manufacturers normally offer several different “build kits” at different price points with each model. For a more detailed discussion of the proper mountain bike fit and an explanation of a mountain bike’s geometry measurements, consult our Mountain Bike Fit Guide! Compared to the rest of the mountain bike family, these bikes probably have the most in common with their road bike cousins. XC bikes are built for riders who commonly want pedal performance as their top priority. These are uphill, lung-busting machines bred for endurance and efficiency where the battles are often won on the uphill. If climbing and the buzz for endorphins is your thing, and you’re a more conservative rider on the downhill, you’re looking for a Cross Country Bike. Modern XC bikes are trending towards the largest wheel size, 29”. This is the same rim diameter as the 700c road bike size. Ultra-lightweight builds (less than 24 lbs. in some cases) with 4.7″/120mm or less of travel make for the lightest mountain bikes you’ll see anywhere. Hardtails (front suspension only) can be preferential in this category in some cases. Longer chainstays & wheelbases, steep head angles (69° or steeper) as well as longer stems put riders in efficient climbing positions. Tires on these bikes are likely to favor reduced weight, efficiency and faster rolling resistance rather than traction, control or durability. Depending on your level of skill and fitness, trail bikes are the Swiss army knives of mountain biking and have recently become both great climbers and capable descenders. Do you see yourself on all-day backcountry epic rides as well as banging around town and your local trails? Do you measure your rides in grins and smiles rather than seconds? If you’re into mountain biking uphill just as much as downhill and are looking for the occasional drop or jump, a trail bike is probably what you’re looking for. Most trail bikes are now equipped with the “happy medium” 27.5” (also called 650b) sized wheels, although 29ers are making a resurgence in this class and becoming more and more popular as of late. Suspension can be anywhere from 4.7″/120mm to 6″/150mm of travel (front and back) with builds taking a balanced approach to strength and weight reduction. Most will weigh around 30 lbs. Trail bike geometries are typified by “neutral” head angles (66° or 68°) but vary widely to suit different riding styles. Tires on trail bikes will strike a balance between durability, traction and rolling efficiency. You could call this category the burly cousin of the trail bike. 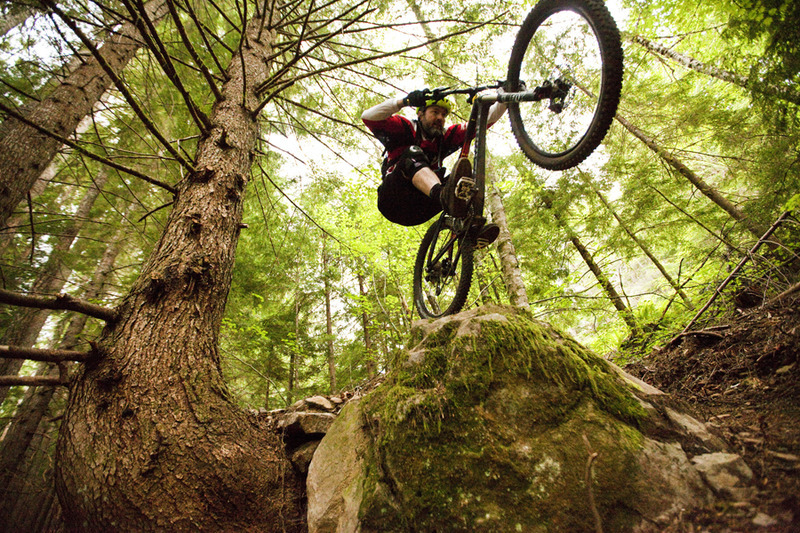 All-mountain bikes are the centerpiece of the race format called “Enduro,” where climbing is necessary, but only the downhill sections are timed and scored on. An all-mountain bike is the perfect rig if you’re willing to earn your ride by pedaling up, but are really in it for the downhill with technical terrain and airtime in mind. That being said, if you want to skip the pedaling and do a couple of laps at a bike park or even some shuttle accessed terrain, an all mountain bike can handle that too. Similar to trail bikes, the 27.5” wheel size has taken over this category in the industry, but all three wheel sizes exist and longer travel 29ers have recently come into popularity. All-mountain bikes have slightly more suspension travel than trail bikes, ranging from 5.5″/140mm to 6.7″/170mm with some high-end builds coming in under 30 lbs. Geometry strongly favors descending to climbing. Head angles in the 65°- 67° range can require some finesse when it comes to steep climbs. Long wheelbase and reach, low bottom bracket and slack head angle are key terms when talking about modern All Mountain/Enduro geometry. Tires on all mountain bikes are likely to favor aggressive knobs for cornering and traction since the “important part” of the ride is gravity assisted. 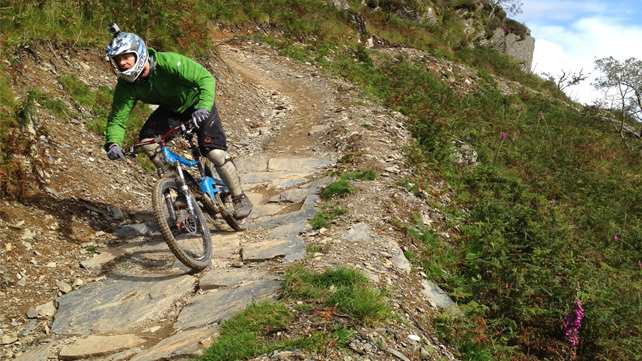 Downhill bikes are designed for steep, gnarly terrain, speed, big drops, and jumps. With these bikes, you’re usually looking for some other way to the top of the trail whether that’s hiking, shuttling or a chairlift. They simply aren’t made to go any direction but down. 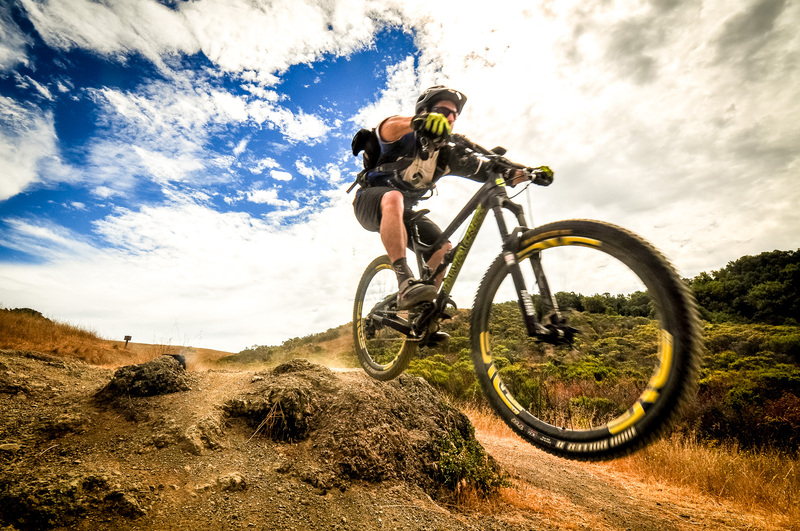 If you’re not even remotely interested in pedaling uphill, have the trails & terrain to support high speeds and airtime, and the skill level to handle yourself in these situations, a downhill bike is what you’re looking for. DH bikes were the longest holdout on 27.5” wheels (from 26″), but have made a solid switch. 29er DH bikes have recently made their way onto the World Cup scene. Burly frames sporting 6.7″/170mm – 10″/250mm+ of suspension travel in the rear and 7″/180mm – 8″/200mm in the front with dual-crown forks that resemble something you might see on a motorcycle. These bikes tend to be extremely slack (less than 65° head angle) and sport a very low center of gravity (bottom bracket) for confidence on steep terrain and aggressive, brown-pow roosting corners. Tires on downhill bikes are geared for traction and durability with 2-ply (think double-thick) casings and even full spiked tread patterns for mud that can find traction in a bucket full of marbles, shrugging off slashes from razor sharp rocks & natural punji sticks. That’s a lot of information and we’ve only covered the basics, but this should give you a strong understanding of what’s available and what to look for in your own bike selection. When it comes to picking out a bike, there’s always a little bit of an unexplainable, intangible connection to a particular ride. It just feels right. So take this info with a grain of salt, throw your leg over a couple of bikes and go ride! If you’re in the Seattle. PDX or Denver area, check us out and come in for a test ride!